Do you ever wonder what factors impact youth behavior? How do mental health, bullying, arguments with parents, romantic relationships, and connections with friends influence the decisions they make when getting behind the wheel or even riding with a peer? 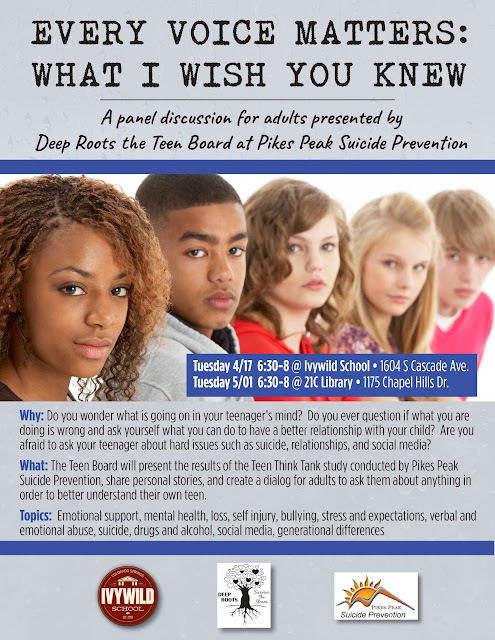 Pikes Peak Suicide Prevention presents an opportunity to learn more about what goes on in the lives and minds of youth to help you become a stronger advocate and youth-serving professional.